Tylenol May Dull The Pain Of Hurt Feelings, Too : Shots - Health News Acetaminophen, the world's most popular painkiller, doesn't just dull physical aches, it also has subtle psychological effects, researchers say. But blunting emotions isn't always a good thing. The pain pills seemed to dim activity in regions of the brain involved in processing social pain, according to brain imaging. "People knew they were getting left out [of the game], it just didn't bother them as much," DeWall explains. As part of the study, participants were given either acetaminophen or a placebo for three weeks. None of the participants knew which one they were given. Each evening, participants completed a Hurt Feelings Scale, designed as a standardized measure of emotional pain. They were asked to rank themselves on statements such as: "Today, being teased hurt my feelings." It turned out that the pain medicine reduced reports of social pain. 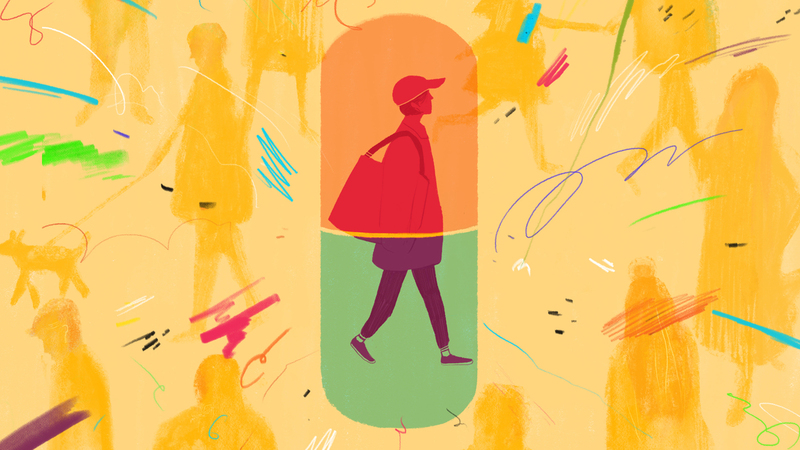 "Through reducing our attention to the outside world, acetaminophen appears to nudge us into a more psychologically insulated state," says Todd Handy, a psychology professor at the University of British Columbia in Canada. Handy also studies mind-wandering. In one recent experiment, published in Social Cognitive and Affective Neuroscience, he and his collaborators found that acetaminophen seemed to make people care less about the mistakes they made when they zoned out. During the experiment, participants were asked to sit in front of a computer screen and complete a repetitive task. "Once every couple seconds, something flashes on the screen and you have to hit a button," Handy explains. "We try to bore people so they will actually mind wander." Handy found that people taking the painkiller mind-wandered at about the same rate as people on the placebo, but their reactions were different. "When people on Tylenol mind-wander, they're shutting stuff out more effectively than people who aren't on Tylenol." "If you're speaking to your romantic partner and their emotions are blunted," Way says, "and they react blunted and less emotional, that can probably have a negative effect." On the other hand, say you're anxious about an upcoming medical procedure, social situation or a job interview, "maybe having blunted emotions can help you perform more effectively," Way says. But no one is recommending that people start popping the over-the-counter medication regularly to protect against social pain. Though it's among the most common drugs in Americans' medicine cabinets, it can be risky. Taking acetaminophen can cause gastrointestinal problems and taking large doses increases the risk of liver failure. People often don't realize that acetaminophen is an ingredient in many different products, so they can inadvertently take too much.